I hope you will grant me a short bit of reflection for today is my 30 Year Anniversary of being a podiatrist at Saint Francis Memorial Hospital, San Francisco, California, at the renowned Center For Sports Medicine. This photo represents who I am--A Team Player. I team up with my wife for a great marriage, I team up with my kids and one spouse and friends, and I team up at work to be the Best I Can. When I play sports, winning is secondary to how I held up my end of the bargain and played hard for my team. When I am at work, I am always thinking about others (my staff, my fellow docs, my patients). I strive to be a great Team Player and never ever let them down. Do I? of course. Do I want to let them down? never. I must admit I am tiring after 30 years. My energy level is waining. I continue to fight my battles, but I feel a deep call to simplify and keep centered. I know I have to re-invent myself every few years, so last year I started this blog, started teaching more, and I am currently trying to learn Electronic Medical Records and ICD 10 codes. 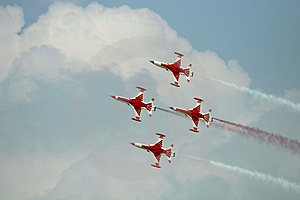 Everything I do is for a team of one form or another. My office, my hospital, my patients, my family. So, I was sad no one knew that this was my big day. And I am very very proud of this day.The significance of today was all I could think of. I am 57, and after spending a lot of money getting 2 kids through private colleges, need to continue to work for retirement. But, the next 15 years can be at a more relaxed pace. So, with the help of good health, I look forward to the last 1/3 (15 years) of my practice life as a sports medicine podiatrist increasing my blog as a form of teaching, increasing my formal teaching and lecturing, maybe a little research, maybe a few trips for R and R.
Thank you for allowing me to have this special time with you. Please let me know topics you want to hear about. Consider us a Blog Team. I don't want to let you down. You are part of my team as we try to help people with various foot and ankle problems. I like Dr Sabet's approach to this new treatment. His is a 3 part treatment which sounds smart. First you thin the nails as much as possible. Then you laser the nails to kill the fungus. Then you apply daily for 6 months some topical anti-fungal to keep new fungus from getting into the treated nails. If there are any patients out there that have had this treatment that want to comment, please feel free. I have personally seen a 50% change in patients, but they had just had it (no where near the 6 months Dr Sabet recommends). First of all, why do we perform gait evaluation on patients??? What are we looking at when we watch someone walk or run? Where do we start? How about the Head and work our way down? A Basic Checklist to use while watching someone walk or run follows. And Here is Tiffany again who introduced me, our star podiatry student, walking barefoot. Again let us start at the Head. What were our gait findings? Here Tiffany is demonstrating excessive supination on the left side following Heel Strike and dangerous Varus Thrust at the Knee. Now Tiffany herself will discuss the components of the Orthotic Device designed to prevent this contact phase supination following heel strike. 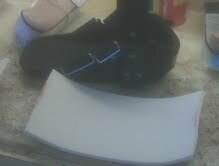 Here Tiffany demonstrates the elimination of the excessive supination with the above mentioned orthotic corrections. So, let's review the findings in gait evaluation which will give you an excellent idea if their movement can be correlated to their symptoms. But, this time, I will start at the feet and work our way upwards. The Green Areas symbolize normal motion or position. Dr. Blake, I have been diagnosed with a fractured medial sesamoid bone. I wish I had a good excuse, such as training for a marathon or heavy duty salsa dancing, but I think I have to chalk it up to simply being a lover of high heels for most of my 35 years of life. I went to 1 podiatrist, who after 1 month of electrotherapy and taping, recommended surgical removal. I sought a 2nd opinion from another podiatrist, and he thought it was simply sesamoiditis. He started by putting me on anti-inflamatories and gave me the short orthodic boot. 1 month later, and not much better, he recommended heavy duty steroids for a week. I went back in and still felt pain. He then recommended the weight-bearing air cast, which I wore for 1 week. I woke up one evening in the most pain I have felt since I started with this problem. I called the next day and demanded an order for a bone scan to determine once and for all if it was inflammed or fractured. Results confirmed it was indeed, fractured. 1) In your experience, could the use of the air cast have actually made it worse? I swear I feel more pressure on my sesamoid using the walking air cast, than simply wearing my Birkenstocks. Dr Blake's Comment: Yes Victoria, the boot could place more pressure and aggravate the problem. I need to modify these boots all the time like in the photos below. Some boots are too rounded in the front forcing the big toe into too much bend. Other boots are constructed okay, but the patient wearing it tries to bend the toe naturally as they walk, driving the broken sesamoid into the stiff (somewhat hard) base. Unfortunately, it probably felt comfortable wearing it. And it was not until after that the symptoms occurred. If one does get a medical device for some purpose, and it causes pain, it must be discarded as good idea, or modified to create a painfree healing environment. Accommodation of a Sesamoid (Big Toe Joint) placed on a removable insert that can be placed into a cast. Adhesive Felt to accommodate (off weight) a sore sesamoid bone under the big toe joint. 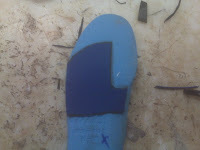 Example of an accommodation with 1/4 inch adhesive felt for a fifth metatarsal fracture placed into a removable boot to create a painfree environment. 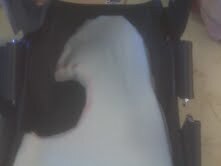 1/4 inch felt sheet prior to cutting into shape (customizing). This type of accommodative pads for pain under the foot can be crucial in creating a healing environment for the injury. 2) All in all, nothing seems to have helped my foot more than wearing Birkenstocks. Besides being a great marketing story for Birkenstock, is there science behind this? Dr Blake's Comment: I find that pain in the front of the foot (where the sesamoids are) is influenced by many factors. Each of these factors can produce a positive or negative body reaction. The rule is too see what seems to effect the injury at hand the most. These factors are: Heel Height, Cushioning, Flexibility, and the Combination of these 3. Some injuries need no heel height to transfer weight forward, others it is okay. Some injuries need alot of cushion, others it makes little difference. 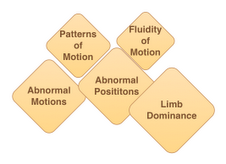 Some injuries need maximal flexibility, other max stiffness (rigidity) immobilizing the injury. Some injuries seem to have a delicate balance with these 3 variables: the right heel height, the right cushion, and the right flexibility. And now we should add the 4th variable of forward roll that some shoes like Sketchers seem to produce and all removable casts have that should roll you easily through your foot. For you, birkenstocks probably provide just the right amount of minimal heel height and forefoot stiffness, that cushion is not an option. 3) No one has ever suggested taking extra calcium or simply going all out with a plaster, non-weight bearing cast with crutches. Would this be overkill? I am a very patient person, and would rather try every alternative possible before resulting to surgery. Dr Blake's Comment: Thanks for your intelligence on this simple fact. You need to produce a painfree environment for the next 6 months, while you work on the bone strength (Vit D and calcium and possible bone stimulator), muscle strength (daily foot strengthening exercises), anti-inflammatory (daily icing and contrast baths whether you hurt or not--total of 3 sessions daily of something that reduces inflammation), perfecting spica taping for the next year plus, and getting orthotic devices that off weight the sesamoid (which should be worn for strenuous activity for 2 years to protect it, and will enable you to wean out of the cast sooner). 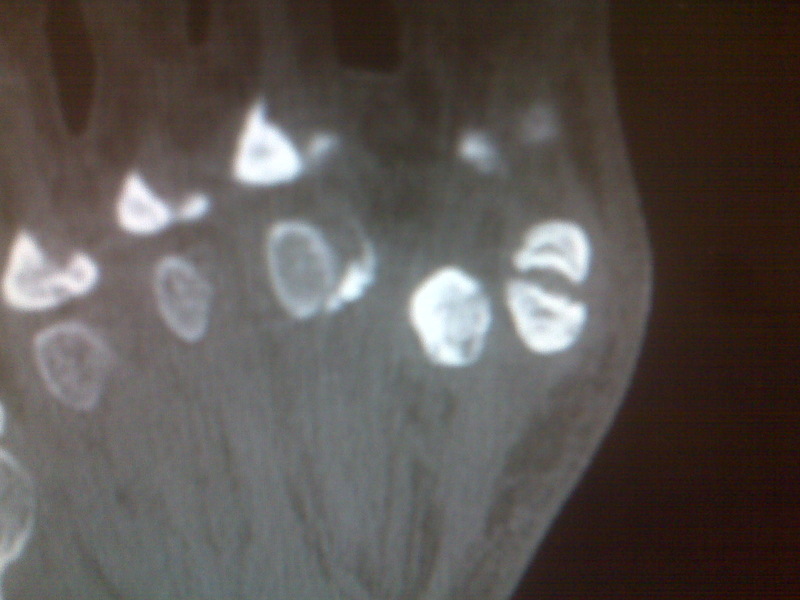 Here is a chronically broken medial sesamoid that developed nonpainful non-union. We may have to surgically remove someday. Patient is completely active at a high level without pain. 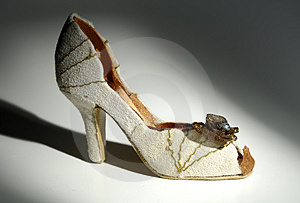 Was it the heels that caused the injury? Probably not, but they are sure painful when you are dealing with a sesamoid issue under your big toe. At least I have been told!! First, let me say that I love the fact that you've put so many informational videos online. 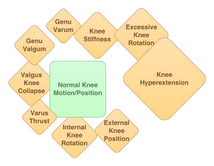 It's been incredibly helpful in my attempts to understand my own Posterior Tibial Tendinitis/tendinosis. I was prescribed orthotics by my podiatrist back in January, yet my condition has not fully healed. I recently bought a new pair of shoes, hoping this would help. My previous pair of shoes was designed for those who, like me, overpronate. However, the shoe salesman suggested that I get a pair of neutral shoes so that the structure of the shoes wouldn't interfere with my orthotics. Do you think that would be the smart thing to do? Again, thanks a hundred times over. This short video documents how lifts patients are wearing to correct for a short leg may become unstable, shift out of position, be placed on top of an orthotic instead of under, and must be checked routinely (at least monthly). Here is a simple test a patient can do to check if the lift is stable. The lift on the right failed that test. I'm interested in what you have to say about this problem. I have had standing x-rays of my pelvis on several different occasions by chiropractors and have been told I have a 9mm difference, as in my left hip is that much higher than my right. The problem is, this feels like a lot in a shoe and won't even fit in some. 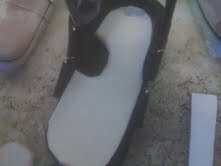 I am using the clearlyadjustable heel lift. I have taken them in and out of my shoes over and again, hoping and praying that custom orthotics would correct the pronation and I don't really need the lift. They never have helped. I have a large knot in my right forefoot area/calf pain and tightness and a stretched out, weak feeling in the front of my left hip with muscle pain and tightness in that glute/hamstring. I'm experimenting with a 5mm heel lift under a custom orthotic on the right but it feels low. I just want to get back to running and weightlifting(deadlifts and squats). I look forward to your suggestions if you have time. A short right leg of 9 mm or 3/8th inch. Excessive Pronation requiring some amount of pronation control from orthotic devices. 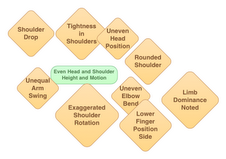 Weak Areas needing strengthening, bracing, or biomechanical changes. Please use full length lifts for your athletics since heel lifts create their own instability and do not help when you are on the front of your foot (in running or weightlifting). If you go up 1/2 to 1 full shoe size, and choose your running shoes with good depth (like most Brooks, and some Asics), 3/8th inch correction is normally do-able. 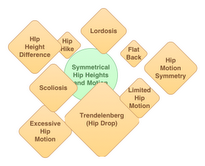 I have to choose with my patients at times whether we start with lifts or orthotic devices. The question to ask is whether the symptoms are more related to the pronation or the short leg. A compromise is made at times if the severest pronation is on the short side to just use the orthotic devices on the short side for awhile. Can you go to bigger shoes? Can you use full length lifts instead of heel lifts? What symptoms are more important to treat first? Are those symptoms most related to over pronation or a short leg syndrome? Can I use lifts in my weight lifting shoes and orthotics in my running shoes or vice versa? Is the pronation worse on the right side so I possibly can try to correct the shortness with a right orthotic device and 1/8th extra full length lift? The video demonstrates excessive supination left side worse than the right clearly demonstrated by Tiffany. This is the first of a series of videos on supination and what orthotic modifications are utilized to treat it. Here also the varus thrust at the knee is shown in the left knee, a potentially disabling force. As the tibia moves on the femur after heel contact in a varus direction, at a time when the knee should be flexing and tibia becoming more valgus, the medial knee joint compartment gets beat up. This second video shows Tiffany with orthotic devices to prevent supination. 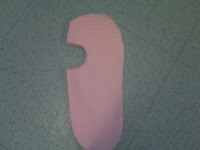 A separate video showed the components of this orthotic device. The supination seen in the first video is eliminated after heel strike, and the varus thrust greatly reduced at the knee. 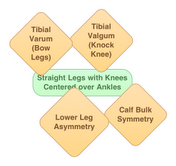 There are patients who have foot pronation whom also exhibit varus thrust at the knee. Tiffany here is seen without the Denton Modification (one of the simple orthotic modifications used to prevent excessive supination). Without the Denton Modification (and there is a separate video on its manufacture), Tiffany definitely supinates more following heel contact. Here Liz is seen excessive supinating with a running gait pattern. Excessive Supination is also called under pronation or lateral instability.